A patch has been released updating Vampire: The Masquerade - Bloodlines to version 1.2. Click here to view the release notes. "Welcome to the all-new PlanetVampire! With the arrival of Vampire: The Masquerade - Bloodlines from Activision and Troika Games we knew we had to reactivate the site to keep you up to date with all of the latest goings on in the World of Darkness for the PC." Visit PlanetVampire to keep informed of all the latest V:TM - Bloodlines news. Vampire: Bloodlines official release date! 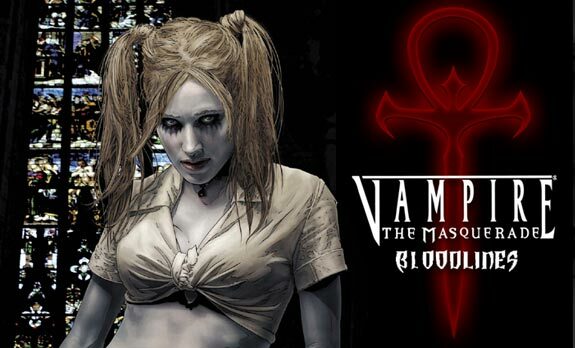 Troika Games' "out-and-out masterpiece" RPG, Vampire: The Masquerade - Bloodlines will be hitting shelves November 16th. View the press release here. New positions open at Troika Games! We're currently looking for a number of qualified individuals for upcoming projects. Check out our Jobs page and send us a resume, if you think you fit the bill. Vampire Nominated for E3's RPG of Show! The nominees for the Game Critics Awards for E3 have been announced... and Vampire has been nominated in the Best Role Playing Game category. Winners will be announced on June 8th. Check out all of the nominees and categories here. The patch for Dungeons and Dragons: The Temple of Elemental Evil is now available! Go here to download it now. Come work for Troika Games! We're currently looking for a Gameplay Scripter and a Level Designer. If you think you might fit the bill, check out our Jobs page and send us a resume. The Temple of Elemental Evil Casts its Spell! The gaming press has written several very positive reviews of Dungeons and Dragons:The Temple of Elemental Evil have been delivered. If you haven't picked it up yet, check out some of the following reviews; Game Industry News, GameSpot, GameSpy and IGN. The Vampire: Bloodlines site on GameBanshee has put up a comprehensive walkthrough. Gamespot has put up thier impressions of Troika's groundbreaking CRPG which will be on shelves this month. Also included is a video interview with Jason Anderson and TJ Perillo. FileFront has posted an interview with Leonard Boyarsky about Vampire: Bloodlines. Worthplaying has posted a preview of Troika's upcoming CRPG, complete with plenty of screenshots. Scroll down a little ways for another glimpse into the world of Vampire: Bloodlines. Gamespy has put up an excellent preview based on a brief playthrough of the beginning of Vampire: Bloodlines.